As it closes in on functional zero chronic homelessness, Medicine Hat, Alberta is helping us understand what it takes to reach, achieve and sustain functional zero. The 20,000 Homes Campaign is working closely with Medicine Hat to learn with them as they end chronic homelessness. This blog is a part of our Bright Spot series highlighting outstanding work in ending homelessness happening across Canada. Everyone has heard of Medicine Hat’s success in ending homelessness. One of the first 20,000 Homes Campaign communities, it has been blazing the trail toward functional zero chronic homelessness since 2009 and showing the rest of us that it is possible and sustainable. They are zeroing in on ending chronic homelessness in their community by not only recognizing where they’ve had success, but where they’ve made mistakes too—and not letting anything break their momentum. In its last report, the community is below its chronic active homeless baseline of seven with only five chronically homeless people left on their By-Name List. Since April 1, 2009, the community has supported and housed 1,166 homeless individuals. And Medicine Hat has gotten this far by coordinating its homeless system and keeping quality, real-time data. One of the keys to the southeast Alberta community’s success is its ability to have “disruptive and productive” conversations within its homeless system, according to Jaime Rogers, Manager of the Homeless and Housing Development Department, The Medicine Hat Community Housing Society. Jaime says taking a system planning approach from the onset has been another key to their success unlocking their ability to get to functional zero chronic homelessness. They implemented a central intake into their coordinated access system—even before they took a Housing First approach. It comes down to having a motivating philosophy—Medicine Hat’s approach takes every opportunity to learn along with its programs. “If people are having a challenging time staying housed, we never look at the individual. We go to the case manager first to look at the quality of the interventions they’re being provided. When Medicine Hat first shared this philosophy with other communities, the big question then was around getting informed consent and how they handled privacy issues. That approach went for their relationships with landlords, as well. 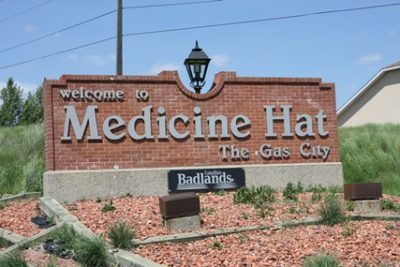 Medicine Hat did its best to follow through on promises with landlords and ensuring they knew what to expect by having the policies and procedures in place. Medicine Hat also pulls from other places to help inform their decisions. “Don’t always engage with your usual suspects,” Jaime says. They engage with people from different areas of expertise—philosophy, urban planning and other places you wouldn’t expect. “It’s going outside the current body of knowledge to find things that work,” she says. “A great critical thinker can apply the concepts to the situation at hand and find ways to leverage that or create a different language. Another factor is not researching people to death either, but listening to the voice of lived experience, according to Jaime. As Medicine Hat learns alongside its programs, the 20,000 Homes Campaign has learned alongside the Alberta community as it blazes forward and reaches functional zero. The campaign aims to apply these lessons to help other communities accelerate their efforts to end homelessness. “Learn and grow,” Jaime says. “Be ok with being wrong. I could list off more things we did wrong and needed to go back and correct. The path has been long and winding, but Medicine Hat remains motivated and focused on its goal. Jaime says she still remembers how in the early days they would always be asked if they truly believed ending homelessness is possible. Medicine Hat joined the 20,000 Homes Campaign when it first began in June 2015. Our Bright Spot blog series highlights outstanding work in ending homelessness happening across Canada.